War Thunder is a cross platform, free to play massively multiplayer online vehicular combat game. The game puts players into World War II and Korean War era planes and tanks. War Thunder is available for a number of operating systems and platforms and is cross-platform compatible. Currently War Thunder is available for Windows PC, Mac OS X, Linux, PlayStation 4 and Nvidia Shield Android TV. 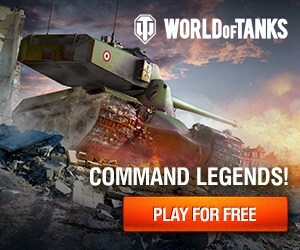 The game is similar in game play, features of World of Tanks and World of Warships from Wargaming.net. War of Thunder takes place on land, sea and air as players battle in a player vs player environment. Since it’s release in 2012, the game has been updated and expanded on a regular basis. The first few releases included air combat with World War II and Korean War era planes. However, The game now includes tank combat with plans to introduce naval combat in the future. Released as free to play, you have access to the full version of War Thunder without having to spend a penny. If you spend enough time playing you will be able to obtain most in-game features. However, the game also includes premium accounts and microtransactions that cost real money. This will unlock certain features much quicker than by completing an in-game objective. How Free is War Thunder? 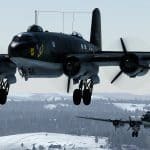 The game is completely free to download from the official site, WarThunder.com and via Steam. You will need to register an account or if you opt to install and download via Steam, that will use your Steam account/handle. The versions are identical. There are various DLCs and packs available on both Steam and the official site which are paid content. Looking for more information on the game? Be sure to check out the latest news and system requirements which can all be found here on AllGamesAtoZ.com. How Free Is War Thunder ? War Thunder is free! You should not have to pay anything in order to play.